Whenever we make a purchase, it’s natural to want to know that we have made the right decision. So when it comes to choosing the perfect carpet for your home, there are a few things to consider to make sure you don’t get in a flap when the time comes to making your mind up! Consider which area of the house the carpet is for and the amount of foot traffic that part of the house receives. For instance, if it’s the staircase, you need to invest in a high quality carpet that offers durability and longevity, whereas a bedroom carpet will not need to be as hard-wearing. Find out more about the best carpets for high traffic areas. What colour and/or pattern will best complement your interior? If you want the carpet to be the focal point of the room then consider a bright colour, or if you want it blend into the background, letting the walls, curtains and other furnishings take center stage, then go for a neutral colour. Dark colours can help mask marks and stains, whereas lighter colours can open up a small space and make the room brighter. When considering decor, always question how long you want the carpet to last you. Are you sprucing up a place in order to sell it? If so, then you’ll be looking for a quick fix. Or do you want something that is quality and will stand the test of time? A lot of people make the mistake of only factoring in the cost of the carpet. You also need to allow for the cost of the underlay (which should always be put down before any new carpet is fitted) and the cost for actually fitting the carpet. Samples are great as they let you see first-hand exactly how the carpet will look and feel, in the flesh! 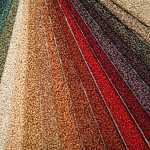 So be sure to ask for samples – most carpet companies will provide them free of charge. 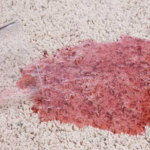 It’s better to rely on the experts when it comes to measuring up for a new carpet. After all, that’s why they’re experts! That way, you can ensure you get a perfect fit and aren’t left short on carpet, or alternatively, with reams of superfluous carpet you’ve already paid for! Brent Carpets offers free home visits to help you in your choices. Just as measuring should be left to the professionals, so should the fitting. Every carpet that is fitted should be done so to meet the standards of BS5325, the British Standard for the installation of textile floor coverings. 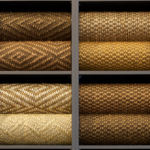 So, after bearing in mind all of the above, you will hopefully now be able to see your options more clearly, and go ahead and buy the perfect carpet for you and your home! If you’re looking for the finest quality carpets from a reliable supplier throughout London areas, then please contact our friendly team today at Brent Carpets. We offer no obligation quotations and free samples in all styles.